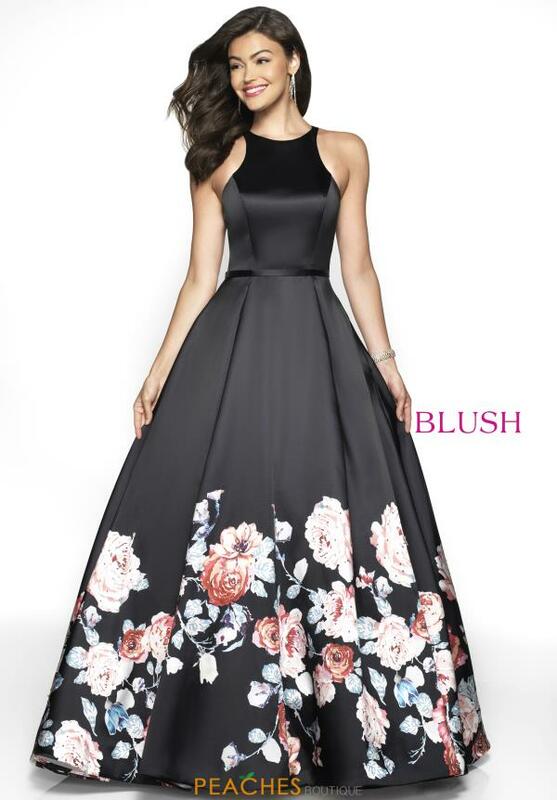 This classic Blush prom dress 11136 is a perfect choice for your upcoming special event. This elegant ensemble showcases a high neckline for modesty and an a line silhouette. A stunning floral print decorates the hem of the a line skirt for a flattering effect. For more styles by Blush visit Peaches Boutique in Chicago.